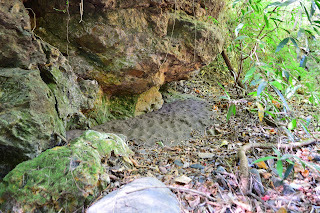 I was happy these photos turned out because the light was dim under the rock ledge on the river bank. In the dry pile of sand I saw the largest Ant Lion pits I have ever seen. 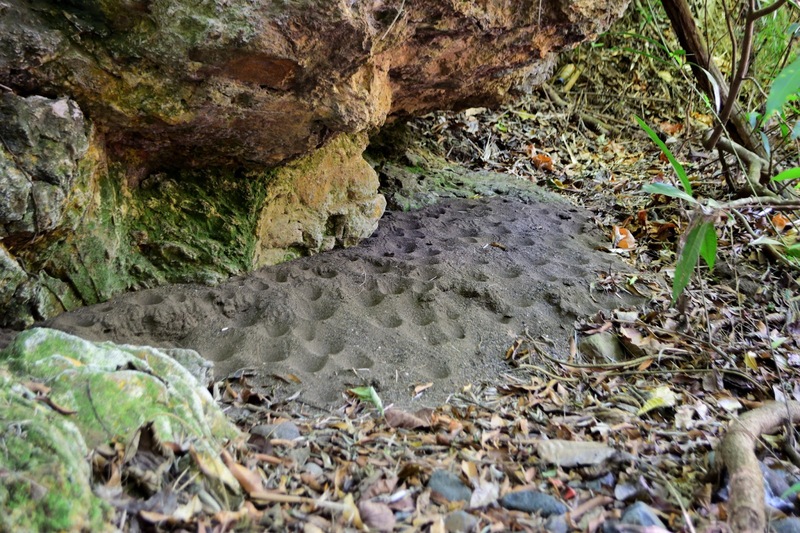 I see Ant Lion pits everywhere but never this many huge ones in one place. This must have been the ideal location for this insect to live out that phase of their lives.